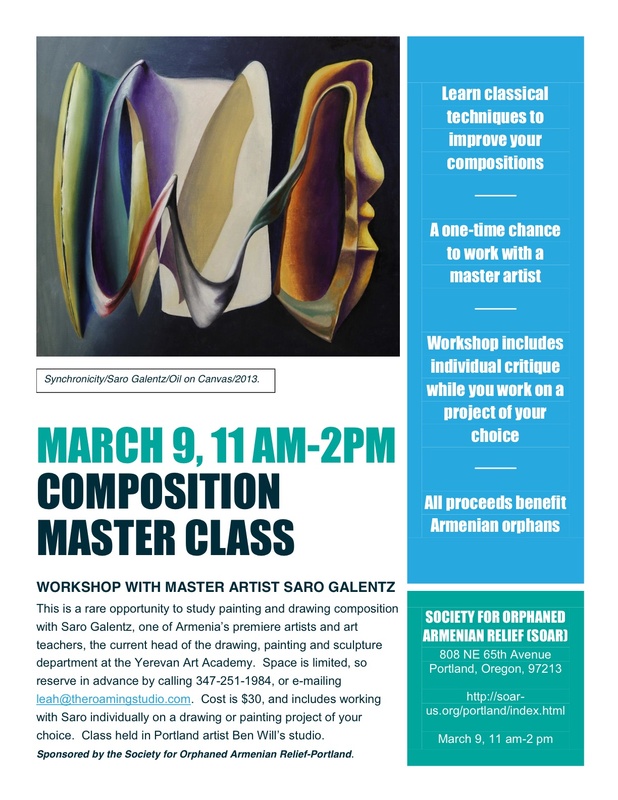 “On March 9, from 11-2 we are hosting a Composition Master Class Workshop with Master Artist Saro Galentz. Saro Galentz is one of Armenia’s premiere artists and art teachers, the current head of the drawing, painting and sculpture department at the Yerevan Art Academy. Please see the attached flyer for more information and feel free to share this with others! This entry was posted in Books and Music (NW artists, authors, publishers, musicians etc...), Charity, Events and tagged 2014, Armenian Orphans, Saro Galentz Artist, Society for Orphaned Armenian Relief-Portland Chapter. Bookmark the permalink.